GE’s TransPort PT878 is a portable liquid flow meter that offers a complete portable ultrasonic flow metering system solution for measuring elements like portable water, waste water, crude oil, diesel and fuels, lubricating oils, chemicals and other liquids. Its integration with the TransPort PT878’s patented Correlation TransitTime™ digital signal processing technique ensure greater increases in the signal-to-noise ratio, which provides reliable and accurate drift-free glow measurements in liquids that contain a second phase of gas bubble or entertained solids. Unlike Doppler-type flowmeters, this system also provides accurate flow rate measurements in perfectly clean liquids that contain no “scatterers”. This compact and lightweight metering tool contributes greatly to operational efficiency and productivity. It is quick and easy to prepare and operate, and an experienced user can make many different measurement scores in a single day. The TransPort PT878 is housed in a rubber boot to provided extra protection from day-to-day use and exposure the various elements. It can withstand vibrations and shock and is completely sealed and waterproof up to 3 metres. 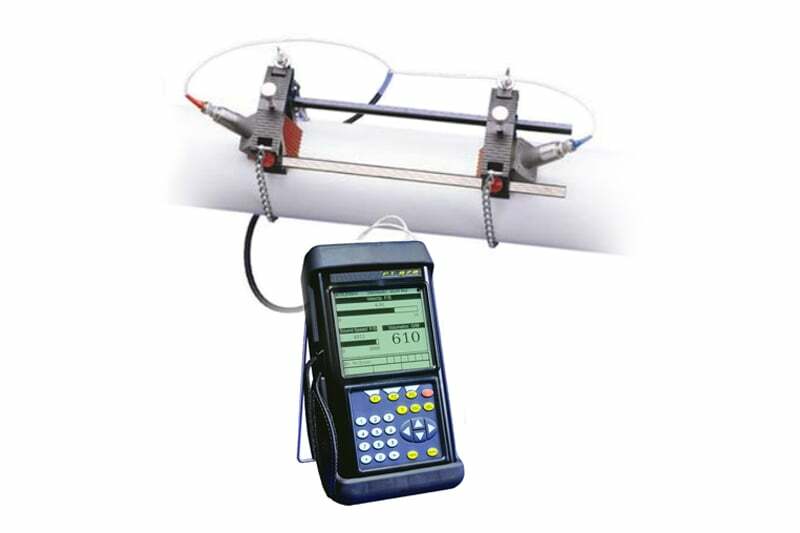 The TransPort PT878 makes use of clamp-on transducers to measure flow rates through plastics, metals and concrete-lined pipes, without penetrating the pipewall. This ensures a leak-free and non-contaminating measurement environment with drift-free accuracy. 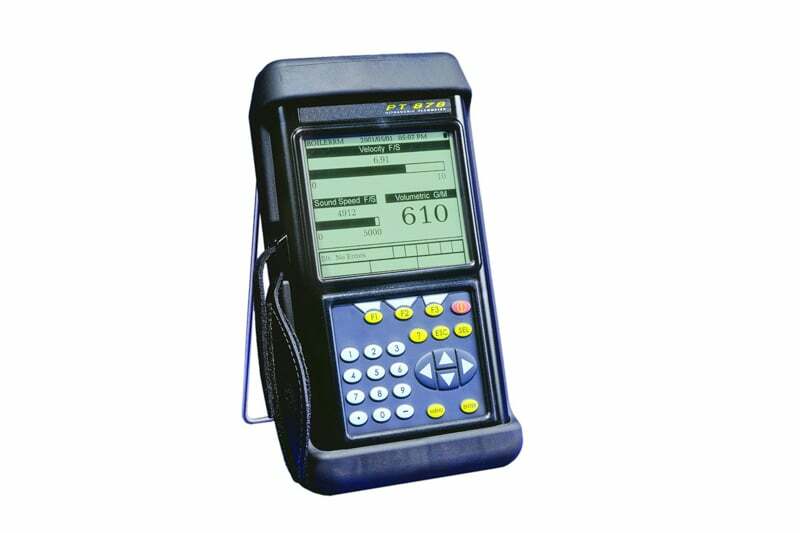 It is equipped with a large, multifunctional LCD display that clearly presents all measurement data in both graphic and alphanumeric forms. A simple and convenient software menu assists users with each aspect of data entry and function selections. All the data can be transferred to a PC with the TransPort PT878’s infrared port. This system is also equipped with a few optional features like energy measurements to determine the energy flow rate in liquid heating and cooling systems, and a pipe wall thickness gauge transducer for clamp-on flow measurements. Contact us to find out more about the TransPort PT878 or more of our ultrasonic flow meter range, or request a quote online.